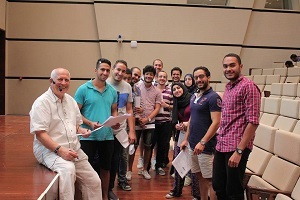 The Friedrich-Ebert-Stiftung in cooperation with TU Berlin El Gouna organized a summer school/technical internship under the name of “Urban Lab Camp”, which took place at the TU Berlin Campus in El Gouna -Hurghada, from 22 July – 19 August 2017 for university graduates in urban development, energy engineering and water engineering. 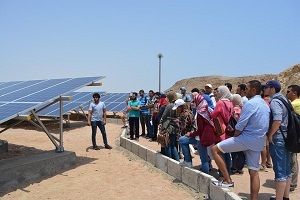 The objective of the camp was to educate the youth and raise their awareness on sustainability and modern challenges facing today’s urban contexts (towns – cities – countries) and equip them with the latest practical know-how in the urban development, energy and water fields. The camp went on for 4 weeks and was successfully attended by 100 students (51 female) who have received technical education on urban development, water engineering and energy engineering respectively, with emphasis on sustainable development. The courses/workshops were implemented by TU Berlin Professors and Academics, as well as consultants in the field and other organizations of technical relevance. 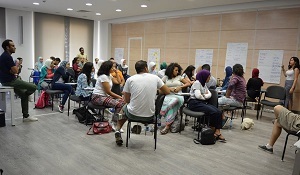 Given the location of the camp and the philosophy of the place, sustainable development models were discussed, with guest lecturers, consultants as well as field trips giving the attendees the full experience accompanied by a professional outlook unto career opportunities. 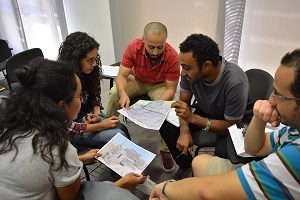 A brochure “Urban Lab Camp“ is also published containing an overview on the project partners, participating professors and guest lecturers as well as a list of the students participated in that camp. This brochure is available on our website.